Provide comfort for the family of Ada Wyles with a meaningful gesture of sympathy. 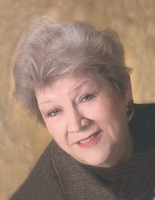 Ada Hay Wyles, 84, widow of James Wesley Wyles, passed away Friday, February 8, 2019. Born in Clark County, she was the daughter of the late Edward Thomas and Margaret Haggard Hay. A retired school teacher who taught for 30 years with Paris City and Bourbon County Schools. She was a member of First Baptist Church in Paris and was a former member of Silas Baptist Church for 60 years. An avid flower gardener, she enjoyed ceramics, reading and loved to sing in her church choirs. She is survived by her sisters, Margaret (Jerry) Holland and Judy (Tom) Congleton; brothers, Wheeler Haggard Hay and Edward Thomas Hay, Jr; as well as numerous foster children, nieces and nephews. In addition to her husband and parents, she was preceded in death by her brothers, Carl Hay, Eugene Hay and Billy Hay. Funeral services will be 11 AM Tuesday at Johnson’s Funeral Home, conducted by Bro. Don Reed. Burial will follow at the Jacksonville Cemetery. Casket bearers will be Larry Hay, Barry Hay, Ronnie Hay, Jeff Hay, Scotty Hay, Jeremy Wyles and Edward Congleton. Honorary bearers will be Jerry Holland, Tom Congleton, Joe Wyles, Phil and Toni Hurst. Visitation will be Monday, 4-7 PM. In lieu of flowers, memorials may be made to a charity of one’s choice. To plant a memorial tree in honor of Ada Hay Wyles, please visit our Heartfelt Sympathies Store. We encourage you to share your most beloved memories of Ada here, so that the family and other loved ones can always see it. You can upload cherished photographs, or share your favorite stories, and can even comment on those shared by others. To the family...I didn't know Ms. Wales until she started coming into Cracker Barrel where I work. She was always so nice and such a sweet lady. So sorry for your loss...pray for peace and comfort...will miss her sweet smile! Barbara Burge. This loss saddens me . She was such sweet and good person. My son had her in 3rd grade in the early 80's and she was such a good teacher. She taught with compassion and discipline. She never forgot her students always asking about him whenever I saw her out and about. So sorry for the loss of her family and friends. Saw this on Miranda's facebook page. I am so saddened. We are in South Florida all month. I have asked our son, Chad to represent me, if at all possible with his work schudule. Love to each of you.